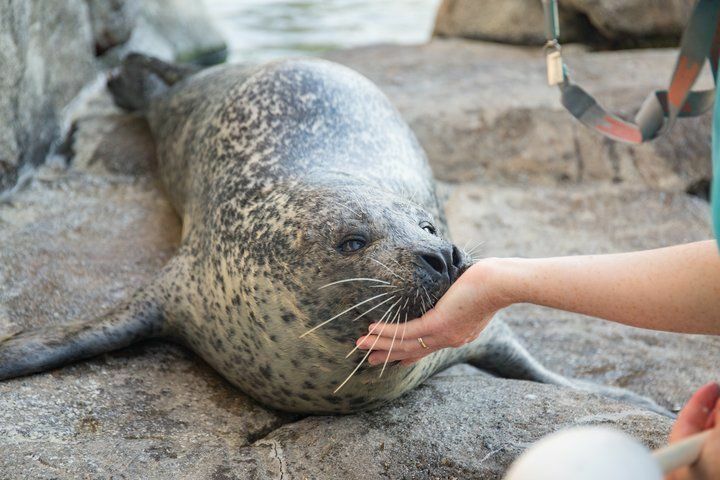 Peter, a seal who lived at the Virginia Aquarium & Marine Science Center, was euthanized earlier this week. His health had been in rapid health decline. VIRGINIA BEACH, Va. (AP) — A 32-year-old seal named Peter who lived at the Virginia Aquarium & Marine Science Center has died. Peter’s health had been in rapid decline, and he was euthanized Monday. The Atlantic harbor seal lived longer than most do in the wild, which is typically up to 25 years. In a blog post, the Virginia Aquarium said the staff was mourning the loss of Peter. “He loved to bark on cue, and had a loud, beautiful voice that sounded just like a dog! He was not a picky eater, and he was adept at removing fish placed on special disk-shaped sleds that float on the water,” the Virginia Aquarium blog post said. Aquarium staff said Peter had been slowing down over the past few months. He recovered from an illness over the summer, but continued to lose weight and was experiencing a change in kidney function.